Vous ne pouvez pas nous tuer. Nous sommes déjà morts. – One of the slogans used during the Berber Spring demonstrations. In 1978, President Boumediène died in somewhat mysterious circumstances. As was usual in Algeria, nothing was known about the personal lives of those in power, with Mrs. Boumediène only surfacing after her husband’s demise. So when Boumediène’s death, officially from a rare blood disease, was announced, it came as a great shock to everyone. He had been in a coma for months, although nobody knew it at the time. Even now, rumours still persist that he died from lithium poisoning, the lithium having been administered supposedly during an official visit to Baghdad. Make of that what you will. Underlying the shock was apprehension about the future. The party rapidly elected a compromise candidate for the presidency, Colonel Benjedid Chadli, head of the Oran military zone. The party, note, and not the public. Algeria was still a one-party state. Elections were a surreal experience in Algeria. There was usually only one candidate for any given election, with the results a foregone conclusion. Voting slips carried the single words “Yes” or “No”, with often only the “Yes” slips available. If, by chance, both “Yes” and “No” slips were available at the polling station, they were differently coloured, so onlookers could easily see how you had voted. Woe betide you if you voted No. Turnout was always high – but that’s because if you were found not to have taken part, you and your family were in trouble. Often you could not obtain important administrative papers if you could not produce your voting card, duly stamped. Recorded turnouts were always nearly one hundred per cent and there was always, of course, almost one hundred per cent approval given for the government’s policies or candidates. Holding elections was also a means of informing the government of any possible opposition. The wonderful Kabyle comic and writer, Fellag, has written a brilliant monologue about this, in which a hapless citizen asks where the “No” slips are. He is fobbed off with excuses— amongst which is that they are not yet back from the printer’s. Polling station officials then start to eye him with suspicion and he is asked whether he actually intends to vote No. In office, Chadli attempted to reduce the state’s role in the economy and ease government surveillance of citizens. Splendidly vacuous slogans like “For a Better Life” (Pour une vie meilleure) and “The Right Man in the Right Place” (L’homme qu’il faut à la place qu’il faut) were trotted out. Cheap, tacky electronic goods were imported in huge quantities and shoved on to a disgruntled public, in the hope of calming social unrest. It didn’t work, though, because Algerians wanted political change, not washing machines that were destined to disintegrate into a pile of rust flakes before the year’s end. The first rumblings of unrest were heard, as usual, in Kabylie in the spring of 1980. Uprisings in Algeria have always begun in the Berber mountains, but this time it didn’t involve a national issue, it concerned their own survival as a people. The Berber Spring finally bloomed in flowers of blood, their tendrils reaching as far as Algiers with its sizeable Kabyle population. I, although no expert, have studied the history of languages and know that a dialect is an off-shoot from a parent language, often becoming later a separate language. English itself was originally a West Germanic dialect. Everyone agrees that Kabyle is a Berber dialect. So are Chaoui, Tuareg, Mzab and the other varieties of Berber spoken in the rest of North Africa. But this begs the question — if Berber is itself a dialect, where, for heaven’s sake, is its parent language? The suppression of all that was Berber had continued. Algeria’s most successful football club, the iconic Kabyle team, JSK, — Jeunesse Sportive de Kabylie,had been renamed Jamiat Sari Kawkabi by President Boumediene, so as not to include the word ‘Kabylie.’ I have still not discovered who or what is Kawkabi. When a state-owned company later sponsored it, it became Tizi-Ouzou Electronics. Great care was taken not to use the dreaded ‘K’ word. Even Kabylie was no longer called by its name, becoming Tizi-Ouzou Province. T’s minor act of rebellion had always been to wind down the windows of the car and put a tape of Kabyle songs on, with the volume turned up high. Driving through Oran, he would be at the receiving end of many puzzled looks, which would sometimes turn to downright hostility. The rest of Algeria had been informed that the Kabyles wanted to force everyone to speak their language, stoking up even more ill feeling. The trigger for the Berber Spring had been the banning of a conference, due to be held in Tizi-Ouzou on the 10th of March, by the revered Kabyle intellectual, Mouloud Mammeri, author of two of the most famous works of French-language literature ever to come out of Algeria – Opium And The Staff (L’Opium et le Bâton) and The Forgotten Hill (La Colline oubliée). Hundreds of Berber activists, students and doctors, were subsequently arrested in a coordinated action on April 20th, sparking a general strike. I have been told that the police had charged into student dormitories of the University of Tizi-Ouzou at the dead of night, viciously beating up the fleeing students, or shooting them on sight. Students attempted to escape by flinging themselves out of the dormitory windows on to the hard concrete below, either killing themselves in the process or sustaining multiple fractures. Rumour had it that the parents of the students, still up in their villages in the mountains, were preparing their firearms in readiness for descending on Tizi-Ouzou in their hundreds to avenge their dead and injured children. I, myself, although appalled at the atrocities, felt a small thrill at the thought that the Kabyles were again rising up, after decades during which their very existence had been denied, to reclaim their birthright as an integral, yet distinct, part of the Algerian nation, and as its still-beating intellectual and rebellious heart. Ts friend, R, who had been sous-prefet of Arzew in the seventies, had been transferred that year to Tizi-Ouzou. Although half-Kabyle himself, he told us about the surreal situation in which he had found himself -– watching news bulletins on Algerian television describing at length the volatile situation in the Middle East, whilst, at the same moment, demonstrators on the street outside were throwing stones and petrol bombs at his official residence. Nothing about this, of course, was mentioned in the local or international press. The Berber Spring was, in the end, violently suppressed by the Algerian authorities, with around three hundred dead and five thousand wounded, resulting in somewhat of a Pyrrhic victory for Kabyles and Berbers across North Africa. Few of the demands made at that time have been met by the Algerian government, who now constantly refer to Algeria’s triple identity— Muslim, Arab and Berber— whilst, in reality, doing nothing concrete in order to further Berber causes. Tamazight has been grudgingly recognised as one of Algeria’s national languages, but still not, to this day, as an official one. The instinct to conform and agree with the majority too often outweighs the courage to say what one actually believes. I have often thought that Algeria was like fairyland. It has a glorious mediterranean landscape, with majestic mountain ranges, hundreds of miles of golden beaches, exquisite colonial architecture, delicious food and a fascinatingly diverse people — all the ingredients necessary to create a Utopia, a heaven on earth. But, as we all know, fairy tales always have a darker side — an evil queen, a wicked witch or an ogre. Algeria is no exception. Put quite simply, Algeria’s darker side is the fact that, since independence, it has never had the government it deserved. The country’s full potential has never been realised, thanks to a single-minded dependence on oil and gas exports. Not only that, the immense wealth generated by these exports has never gone towards improving the lot of ordinary citizens. The ingredients that could have produced happiness and fulfilment have resulted in something much more unpalatable. Instead of the elixir of life, a bitter draught has been served to the Algerian people. Firstly, their revolution was stolen from under their noses. The true leaders-in-waiting, those heroes who had lived a precarious and dangerous life in the maquis, or carried out clandestine operations in the capital, risking torture and even the guillotine, were either assassinated or sent into exile by a group of usurpers, in an operation worthy of Henry VII hunting down the last Plantagenet. These usurpers were members of the Armée des Frontières, the forces of which had swept in immediately after independence from Morocco and Tunisia, where they had been lying low and biding their time. As soon as they had seized power, they began distributing the spoils of war — palatial homes left by the fleeing pieds noirs, positions in power, land, and riches amongst themselves, riding high on the borrowed glory of those who had actually fought in the war. In spite of this, for many years after independence, Algeria, the country of one million and a half martyrs, was seen as a beacon of hope by those countries still fighting to throw off the colonial yoke. It became one of the forces behind the Non-Aligned Movement, through which it and others gave a global voice to emerging economies, with Algerian foreign policy supporting post-colonial states and independence movements. Iconic revolutionary figureheads — everyone from Che Guevara to Nelson Mandela — found that they could always rely on Algeria for training, funding and support. Mandela even underwent his first military training there and his struggle against the apartheid regime in South Africa was said to have been inspired by Algeria’s independence war. Post-independence Algeria was venerated as a country with shining ideals. It all seemed impossibly glamorous. For me, as an eighteen-year-old university student, meeting the group of young Algerians studying in Sheffield was a revelation. They were perhaps only a few years older than me, but had lived out their teenage years in the midst of a vicious colonial war, one that was perceived as the epitome of a David and Goliath fight, the ultimate victory of the oppressed over the oppressor. Even the physical appearance of these students reinforced this impression, their dark good looks and swagger seeming to be the personification of romantic revolution. But things were not as they seemed. It is in my husband’s nature to be cynical about most things, but he had tried his best to believe in a fairytale ending, with everyone living happily ever after. His first doubts crept in when he found that he had never heard of most of the new leaders of post-independence Algeria. Boumediène? Who’s he? Bouteflika? Never heard of him. The revolutionaries he had hero-worshipped during seven long years of war – Colonel Amirouche, Abane Ramdane, Krim Belkacem, Ferhat Abbas and Hocine Ait Ahmed — had been summarily erased from Algeria’s official history by the new leaders. Footage of them had been cut from all films depicting the war. Their names were never mentioned. It was as if they had never existed. The choice of socialism as the official political-economic system had also seemed a valid decision at the time. In all fairness, what other system could have satisfied people’s thirst for equality after such a brutal independence struggle? But it was socialism for the masses, not for the leaders. The Algerian people, however, still gave them the benefit of the doubt, hoping things would get better. As their grip tightened on the country, Algeria changed from a warm, welcoming place into a grey Stalinist gulag. It might not have had a Siberian climate, but that was the only difference. The colour and joy were leached out of everything. Food supply chains dried up, with only state-owned stores, empty of any product you might want to buy, having the right to import foodstuff. The Algerian diet, once rich in fruit, vegetables, seafood and all the abundance of the southern Mediterranean, became bland and tasteless. The sun continued to shine outside and for me, after the monochrome tones of Britain, the jewel-like colours of Algeria were shocking in their intensity. I felt the beauty of the landscape like an ache in my soul. But most Algerians did not even have the energy to appreciate their surroundings. They were distracted with the artificially created problems of daily life, and the struggle to keep food on the table. A dystopian world always tortures its children. Minor party and government officials, the police and customs officers, were given a modicum of power, which they wielded with relish for the thrill of generating fear in the eyes of ordinary citizens. The latter could be sent to prison, their homes snatched from them, their rights trampled on – at the mere whim of some minor official holding a petty grudge against them. A perfect reproduction of the behaviour of the French colonisers. The abused child becomes an abusive parent. And so for years, Algerian society was only able to function on negative emotion – power, manipulation, control. Of course, as in any self-respecting dictatorship — for so Algeria had become — no opposition was tolerated, either in word or deed. Embryonic uprisings like the Berber Spring were nipped in the bud. As in Orwell’s book, 1984, people’s frustrations were directed to the enemy outside, la main de l’étranger or foreign intervention, the object of the daily “hate session,” encouraged by the official media. 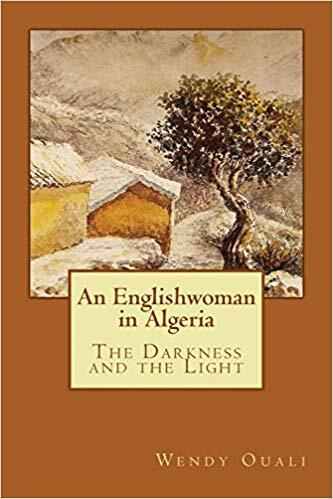 Later, with the addition of militant Islam and the shameful Family Code to the toxic brew, Algerian women, who had once played a vital part in the independence war, were considered as mere property, their lives held to ransom by men. They lived in fear, were policed, and taught to be ashamed of their bodies and their own needs. And yet Algerians are a typically mediterranean people — passionate, joyful and hot-blooded — quick to anger and quick to love. They enjoy dancing, singing and having a good time. Their sharp wit and sense of humour are legendary. Nothing could be less suited to their temperament than a narrow-minded, restrictive regime. Nobody dared criticise those in power — at least not in public. Nobody dared speak up, unlike the little boy in the Hans Christian Anderson fairytale, pointing out that the Emperor, strutting around in public in his so-called new clothes, was actually as naked as the the day he had been born. Everyone, even though they might have thought differently in private, joined together in admiring the invisible finery worn by their leaders, not daring to denounce their manipulation and trickery for fear of being called a counter-revolutionary. Sonatrach workers were regularly taken in buses to line the roads and applaud whenever the President was in the vicinity. They would obey instructions dutifully, knowing that all eyes were on them, and shout, “Tahya Boumediène!” (Long live Boumediène!) as he swept past in his official car, black burnous wrapped around his shoulders and cigar between his fingers. Yes, the Emperor’s clothes were very fine indeed. Our small daughter came home from primary school one day, and, proud of what she had learnt, said to her father, “Boumediène est un président formidable, hein, Papa?” (Boumediene is a wonderful president, isn’t he, Daddy?). T looked sadly at her and nodded his head. “Oui, ma fille, oui.” He couldn’t even say what he really thought, for fear that our daughter would repeat, in her innocence, what he had said. So those in power made liars of us all — complicit in their deception. I strained to look through the airport window at the passengers disembarking from the flight from London, searching for my husband amongst the sea of anonymous faces. The last of the passengers trailed through the sliding doors and there was still no sign of T. In desperation, I went to the information desk and was told that all passengers from the London flight had now disembarked. After phoning my mother in tears to tell her the news, I took the next train back to Blackpool in a fog of worry. When my husband came on the line, he sounded very subdued. He just told me that he had not been allowed out of the country. I learned later that he had passed through Customs and Immigration checks at the airport and was waiting at the departure gate when a policeman came in, calling his name. When he identified himself, the officer checked his passport, tore up his boarding pass and told him to go home. I have to scroll back a little for you to understand the situation. It seemed as though there had always been problems of one kind or another at the ammonia plant, where T had now been made directeur. We were enjoying the few perks that came with his promotion, including an official driver, who was parked outside the house from eight in the morning until five in the evening, on the dot of which, he and the car would disappear through the gates of the Clos in a cloud of dust. The driver, Djillali, was actually taking advantage of my husband’s good nature, as he should normally have been on call at the plant until T needed him. He knew that T preferred to drive himself, so sat most of the day on his ample behind in the car in front of the house, when he wasn’t strolling around the leafy loop of road, a blade of grass between his teeth and his moustache a-quiver, chatting up the femmes de ménage. Anyway, it was comforting to know that if I needed some bread or something equally important, he would be there, standing to attention, then driving off self-importantly to fetch the required item, gold tooth and gold watch strap glinting in the sunlight. There was, however, another side to the coin. More often than not, our family outings ended up with me and two lively toddlers sitting in the car parked outside the plant, whilst my husband was inside “just checking that everything was all right.” He also kept late hours, usually finishing work between eight and ten at night, and even when he was home, there was still the possibility of a car drawing up in front of the house in the middle of the night to warn him about some emergency. T revelled in all this, of course. He loved the thought that he was being of some use to his country. It is telling that the works newspaper that he had created, edited and for which he wrote regular articles, was called “Le Pionnier” (The Pioneer). He had always had a can-do, devil-may-care, Wild West attitude to tackling problems. Although he didn’t like talking about work at home, I’d been aware for some time that there had been an ongoing problem to do with the sacking of an employee. The latter, disgruntled and bent on revenge, had made a statement to the police saying that nitrate fertiliser, also produced by the plant, was being deliberately thrown in the sea or buried. The police, armed with his statement, launched an inquiry into the matter. They descended on to the plant, taking samples of the nitrate-soaked soil in the fertiliser packing shed, to see whether any of the “biens de l’Etat” (Government property) i.e. nitrate fertiliser, had been buried there by T and his evil henchmen, whoever they were. It soon degenerated into a power struggle between the Ministries of Energy and the Interior as to who had control of the Arzew Industrial Zone. T wrote a note banning police from entering the plant, which was ripped down from the wall of the security guards’ office and taken away as “evidence.” The CEO advised T to dress warmly, as he might soon find himself in a prison cell. We could feel the net closing in. Weeks went by and the CEO’s warning about being arrested by the police did not materialise, although the police investigation was still ongoing. Police officers continued to swoop down on the plant to take in various employees for questioning at the station. A cloud of dread and suspicion hung over the whole work force. After a while, though, things seemed to settle down, so we went ahead with plans for our holiday. As I was a foreign resident in Algeria, an exit visa was needed for me before I was allowed out of the country. This required a whole armful of documents, including an affirmation, signed by T, that I lived “under his roof.” This was one of the reasons I couldn’t attend my father’s funeral a couple of years later, as T had been on a business trip to the States at the time and so couldn’t sign my attestation d’hébergement. I must admit that this was one of the biggest downsides to living in Algeria. I floated around in a no man’s land – not really an expat because I was married to an Algerian and not really Algerian because I had a British passport. I had the worst of both situations – needing a residency permit and a work permit because I was a foreigner, yet paid solely in dinars because I had an Algerian husband. For T, leaving the country was even more complicated. As a Sonatrach senior manager, he had to obtain special permission from the Energy Minister in Algiers. This could takes weeks, if not months, and was fraught with complications. After being turned back at the airport that first time, he tried to leave the country through various ports and airports during the months that followed, but to no avail. Although we didn’t know it at the time, an I.S.T.N., or travel ban, had been slapped on him. Each time he was turned back, I would see him withdraw into himself a little more. During the year that followed, he gradually spiralled into a depression. He has a tendency, like all men, to retreat into his cave when things go wrong, but this was worse than that. He still functioned outwardly, doing his job as efficiently as usual, but becoming increasingly silent and withdrawn at home. His brother would come around every evening, just to sit with T, even though he was very uncommunicative. Whenever I could get him to talk a little, I could feel the thin ice in the tone of his voice — a brittle bridge over a deep black hole. The problem was that nothing had been said officially – he had received no formal communication as to his status, or when his travel ban was to be lifted, or even why it had been imposed. We were in limbo. Of course, we knew that it was because of the police investigation into the allegations of sabotage at the ammonia plant, but nobody could confirm this. The Sonatrach CEO didn’t seem bothered, nor did anyone else. There was no recourse, no appeal, no explanation. I could well understand his feeling of being trapped. I can remember us sitting on the cold floor tiles in the entrance hall one evening, and him looking at me with distant eyes, and saying flatly, “Don’t you understand? My whole life is falling apart.” This might seem a bit of an exaggeration – after all, he still had his family as well as his youth, strength and health – but, from the depths of his depression, it must have appeared this way to him. I suppose, in some way, it was a little like losing one’s faith in God. The ideals to which he adhered so strongly since independence, and which he had carried inside like a living flame, were all being called into question. The hours of work he had put in – the risks to life and limb he had taken in the belief that he was giving his energy, toil and tears to Algeria as those who had died in the independence war had given their blood – were all for nothing. The just society, the rule of law of which he had dreamt though seven long years of bloody struggle, did not exist in the new Algeria. For him, it was like an earthquake tremor, or the shake of a kaleidoscope that threw all the pieces of his life into the air, for them to fall down again – but in a different pattern. A new sous-prefet arrived in Arzew later that year. This new official had been introduced to T as a matter of course, as everybody in authority kept a beady eye on the industrial zone. R had been a police commissioner before becoming a sous-prefet, with a reputation for being extremely harsh in his dealings and for brooking no nonsense. He and T got on famously, though, as he was of mixed heritage – his father Kabyle and his mother French. Although R loved his country and had been through hellish experiences during the independence war, he had grave doubts about the new Algeria and was very cynical about the future. He had been a true moujahid, or freedom fighter, and had, at one stage, been forced to dig his own grave, and stand at its edge, expecting to be shot in the head at any moment. R made enquiries into T’s status, saw that there was no evidence against him and no reason for the travel ban to be prolonged, and took the necessary steps to lift it. Sonatrach, of course, had not lifted a finger. T left almost immediately for France, stayed there a whole month during one of the coldest winters on record, enduring the freezing conditions with gritted teeth and newspapers stuffed underneath his sweater. He hates the cold, but wanted to prove a point. He came back in a better mood, but things were never the same again for him. He had realised that hard work and integrity were not enough in this new Algeria. He still continued to give the best of himself, but something was broken inside him. If there had been a good time to leave Algeria, this would have been it. But we didn’t. Women hold up half the sky. I breathed the air of history all unaware, and walked oblivious through its littered layers.